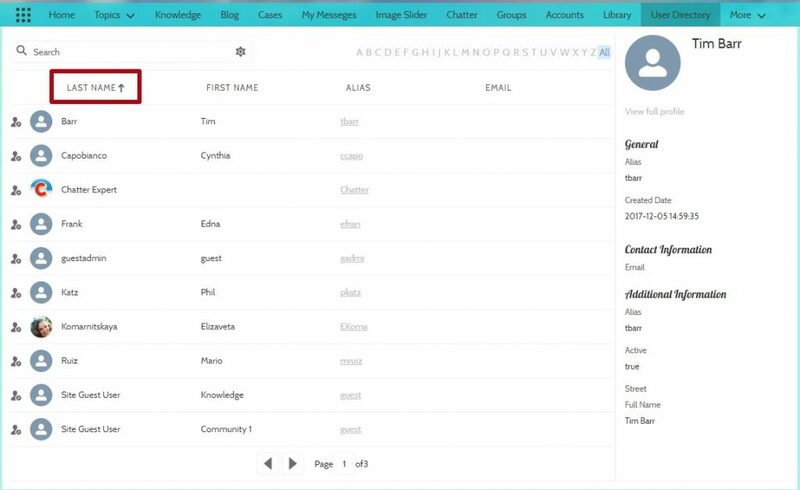 Enjoy some new features for User Directory component. Sort users on community page by the last name. Create custom labels. Advanced Communities team never stops improving and updating our components for Lightning Communities to make them correspond to your needs! Recently, we have added some new features and options to the User Directory component. New “Ignore user profile privacy” option was added to the component settings and enabled by default. This option allows ignore other Community members user’s profile privacy settings and see necessary details such as mobile number, email. Now you can also see the list of users on community page sorted by the Last Name. The other feature is really useful for multiple languages communities. Because now you can easily change Custom Labels for User Directory component. After entering value for corresponding language by “New Local Translation/Overrides” it will be displayed on the component side.